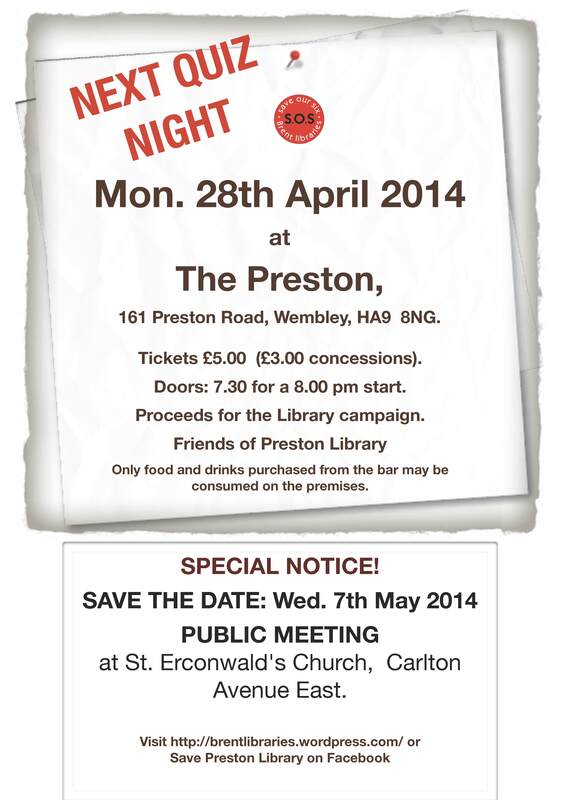 The Friends of Preston Library will be holding a pre-election Public Meeting on Wednesday 7th May at 7:30 pm in St Erconwald’s RC Church, Carlton Avenue East, Wembley. We will be updating the community about the ongoing campaign to restore our local library. All local Councillors have been invited. World Book Night well done by Geraldine! A delighted worshipper at Wembley Methodist Church. FOPL also staged a successful ‘BookAway’ outside the Old Preston Library, and the indomitable Geraldine was also outside the Blue Oyster Fish Bar in Preston Road (sorry no decent pics). Comments Off on World Book Night well done by Geraldine! 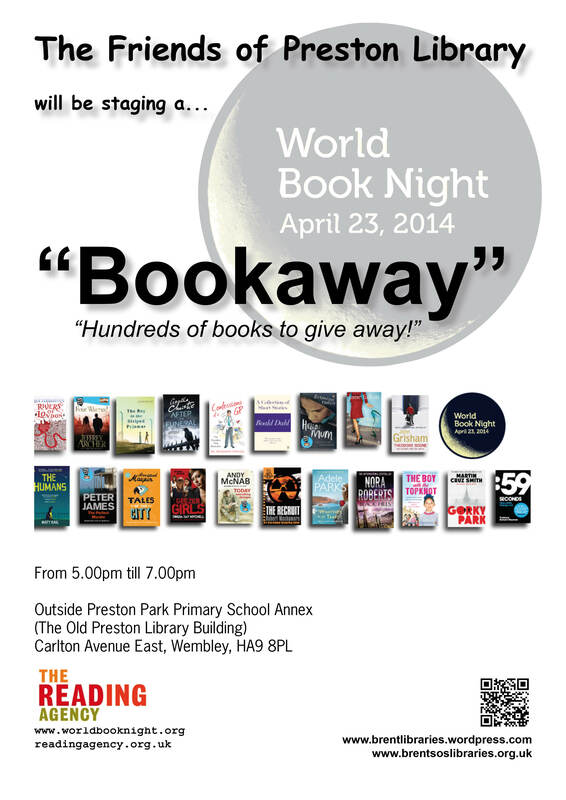 Our very own Geraldine, has been nominated again as a ‘giver’ on World Book Night 2014. Another great fun evening. Bring along your team mates and pit you wits!